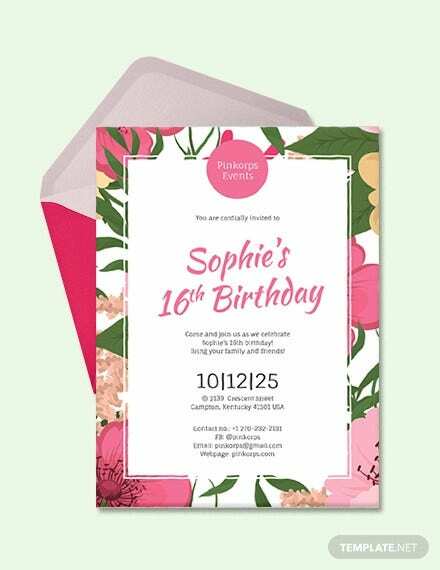 Whether you are planning your own or another person’s birthday bash, it is important to make sure that the invitation cards you are using will match the birthday celebrant’s personality and the birthday theme itself. In this article, we specifically discuss and provide downloadable examples of birthday card templates that will surely suit the tastes and preferences of all girls, women, females, female-identifying folks, or anyone who likes to have a girly birthday card design. 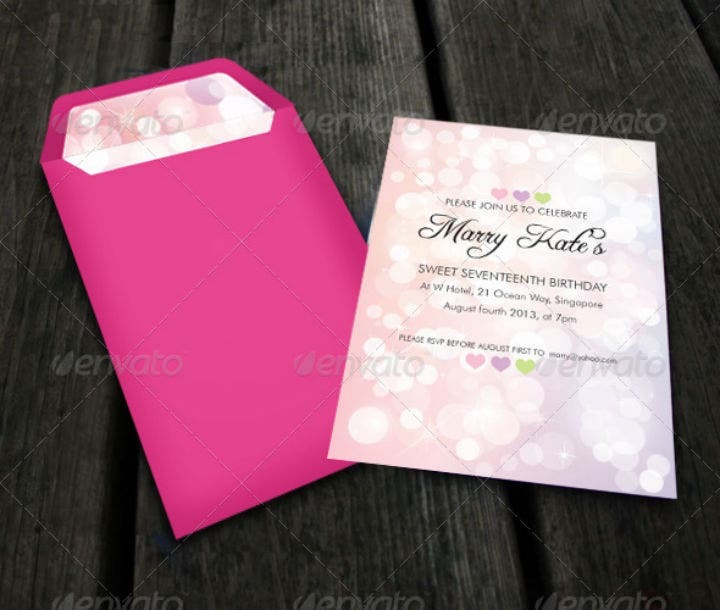 Embedded below are 15 examples of birthday card templates that follow a girly theme or motif. All of these templates are downloadable and ready to print. Just a reminder, you need to have Adobe Photoshop or Adobe Illustrator installed on your computer for you to open and customize these printable templates easily. Check them out! In the next few paragraphs, we will share to you the two main methods for creating a birthday card. It does not matter whether you are making a birthday invitation card or a birthday greeting card as the steps to card-making are basically the same. Read on so that you can correctly and accurately choose which card-making method would suit you best. The use of pre-made digital card templates is one common way of creating a birthday card. These digital files will already include all the graphic design elements needed to create a greeting or invitation card so you do not have to worry about designing the card itself. 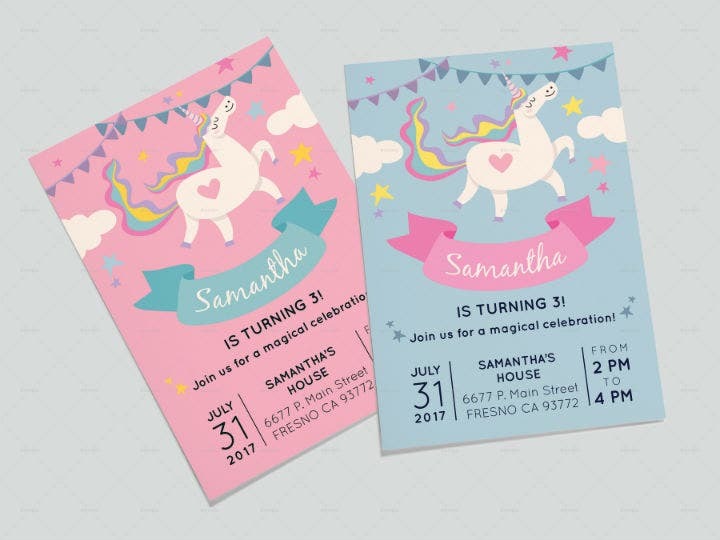 In addition, if you are going for a girly birthday party theme, pre-formatted birthday card templates will allow you to match the event theme without having to create the card design template from scratch. Another advantage of using pre-made birthday card templates is their affordable cost. On the other side of the card-making spectrum, you may also create birthday cards by manually handcrafting them. Handmade card designs are preferred if you want to fully express your creativity through the art of card-making. Also, doing this will let the birthday card recipient realize all the hard work you put into creating the card. However, the major downside of creating handmade birthday card designs is that they take time to create. It may be alright to create one or two birthday greeting cards by hand. But it is another matter if you are making multiple girly birthday invitation cards for all your party guests. If you are still undecided on how to create a birthday card that will match your girly-themed party, look into these two methods. Carefully weigh in your options and then finally decide on what card-making strategy to follow. Also, never forget to enjoy the process. For more information on how to create a handmade greeting card, check out the linked article. Looking for a Girly Birthday Card Template? 1. Look for a card template that matches your birthday party theme. When choosing among different girly birthday card template designs, you should first factor in the type of birthday party you are having. Most birthday parties will have unifying concept or theme to follow. For instance, you may choose a superhero themed birthday celebration and would need to use superhero themed birthday invitation cards. 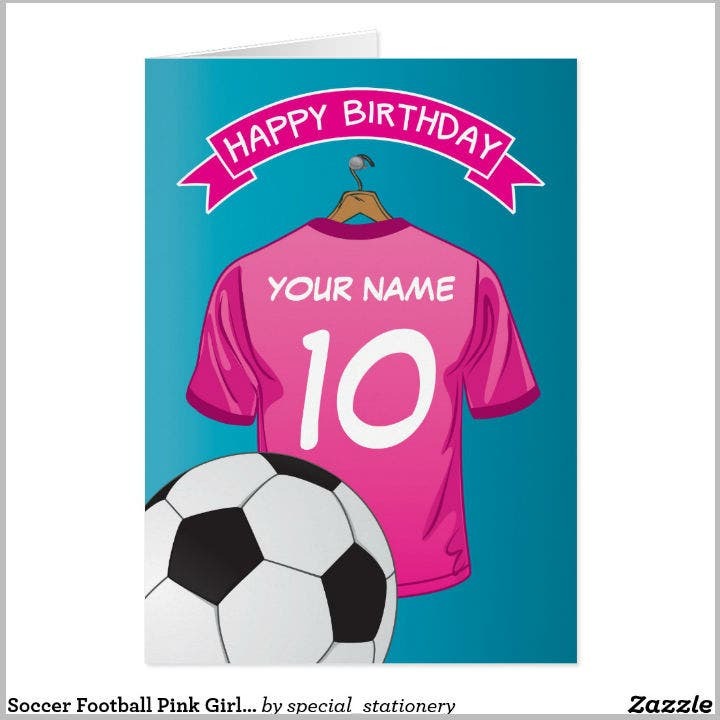 So if you are planning girly birthday party filled with all things about girls and what the female birthday person likes, you should likewise choose a birthday card template that only sports a girly design. Furthermore, there are can be varying levels of girlishness. For some, using floral card designs can work for a birthday bash for a little girl or a young adult. While for others, a girly themed birthday may mean a sportsfest where all the attendees play with each other and not factoring in one’s gender. Think about all these carefully when you select a birthday card template design next time. 2. Choose a card template whose price fits your budget. The next factor to consider when picking out a birthday card template is your budget. The amount of money that you allow yourself to spend for a birthday greeting card or a birthday invitation card plays an important role since different kinds of birthday card templates and the cost of printing them will cost differently. If you have an unlimited budget, this factor will not really matter to you. But if you are on a budget or just do not want to spend a lot of money on birthday cards, using girly birthday card templates can be a very cost-effective alternative. You may also check out this article on how to make a budget plan. 3. Select a card template that has flexible customization options. 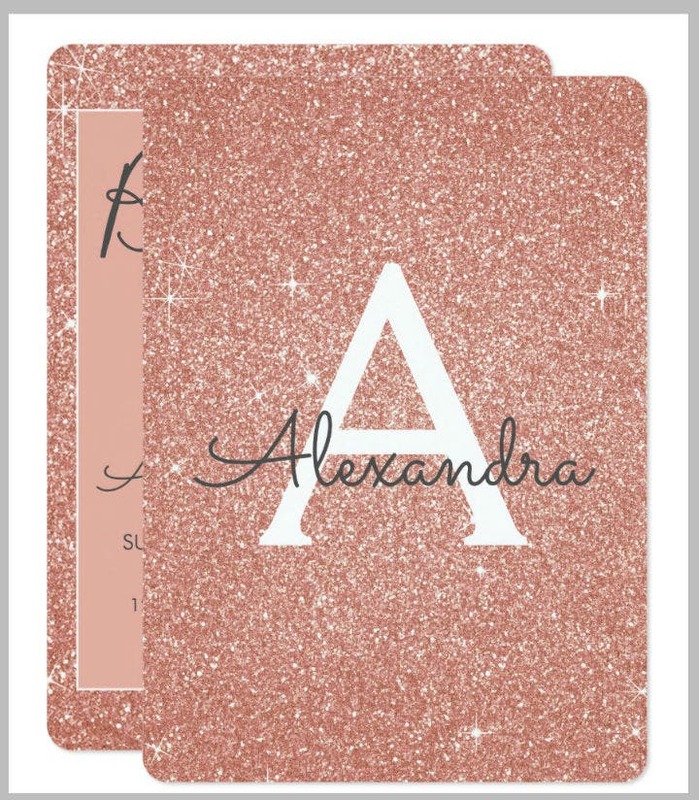 The next factor to consider when selecting a girly birthday card template is the template’s built-in customization options. Choose a birthday card template that will allow you to make a lot of edits on the template after purchasing. By doing this, you will have as much creative freedom when redesigning or just slightly modifying the template design. You may also see birthday card design templates. Most birthday card template created and stored in Photoshop or Illustrator templates will often be very flexible in terms of customizing them. So choose a template that will allow you to make any changes that you want to the template design without having to pay extra for it. 4. Assess your own graphic design skills. Another factor to consider before you purchase a birthday card template is your own graphic design skills. We have said earlier that template end-users will still need to make minor customizations on the birthday card template if they want to personalize it. And to do so, you will need to learn how to use different graphic design software programs like Adobe Photoshop, Illustrator, and InDesign. 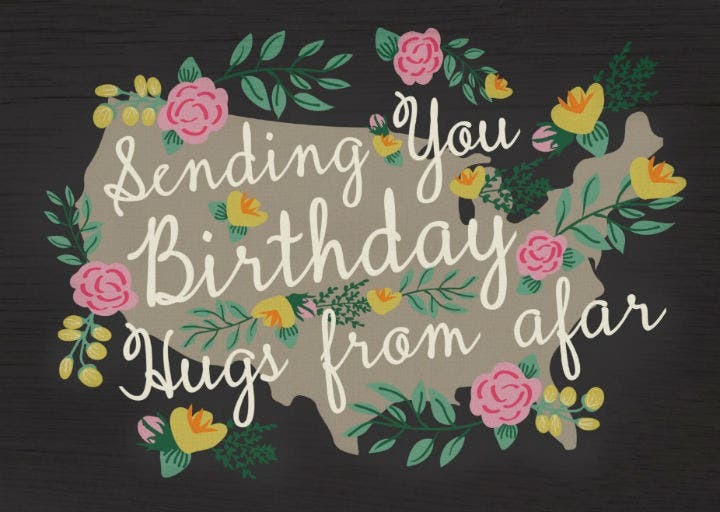 If you do not know how to use these software tools, you will have time to watch and learn through Illustrator and Photoshop tutorials online before you buy the birthday card template. However, if you do not have to make the edits yourself or to watch these graphic design tutorials, it may be best to have someone make the template edits for you. You may also see free birthday cards. By assessing your own editing skills, you will know beforehand if you can handle the entire graphic design project yourself. This is an integral part of the birthday card selection process since it will allow you to really determine if you can complete the card by your target date or not. You may also see birthday card templates in word. 5. Look for a birthday template that is on your preferred printing size and format. The last factor to consider when picking out a girly birthday card template is your preferred card printing size and format. This is an important factor to consider if you are very meticulous in planning all the aspects of a birthday party event. To illustrate, if you all your other birthday party stationeries follow an A5 flyer format, you should also look for a birthday card template that follows this same printing size. As the event planner, you need to make sure that you are choosing a template that is available in your desired format and size. Some templates may easily be edited and made to fit the template size you prefer. But some templates may not offer this feature so make sure that you check the card template’s description before purchasing it. Those are the top factors to consider when choosing a girly birthday card template. Internalize all these factors and do not forget to apply them when finally purchasing a template design that you like. You may also see blank birthday templates. This article is filled with different kinds of girly birthday card templates that can be used for any kind of birthday party or event. You do not even have to be a girl in order to use any of these templates. What is important you choose a printable birthday card template that appeals to you and to the birthday card recipient. For more downloadable examples of themed birthday card templates, look no further than our website. Also, feel free to share this template with your friends, social media followers, and colleagues.